Hope for Tomorrow Global is working with Burundian man, Evariste Ndayirukiye to help support him in the incredible work he is doing in Burundi. Evariste is man who is passionate about seeing his nation change. Just a few years ago he imported two Friesian cows from Tanzania, believing that they had the potential to change lives. He was right! These cows give over 10 litres of milk a day compared to a meagre 1 litre of milk from the traditional ‘useless‘ ankole cows. By demonstrating this through an experiment in his village, people began to realise they could earn an income from the milk of these ‘good’ cows. Soon they were in demand! Today over 400 families have cows and hundreds of lives have been changed but the good news doesn’t end there! 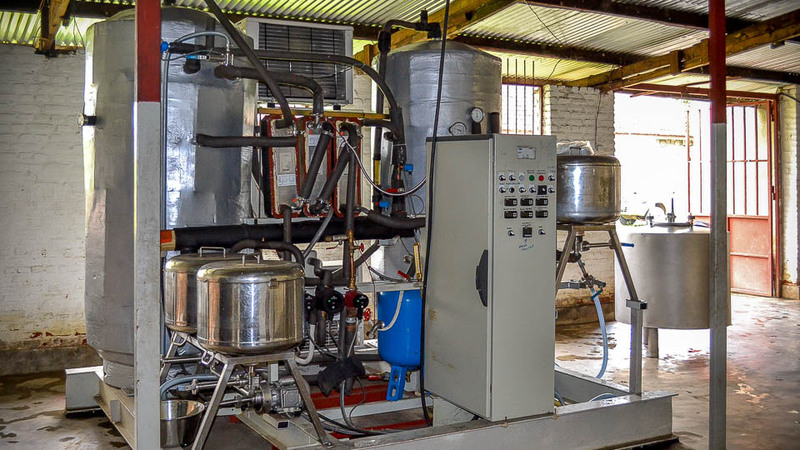 Over the past couple of years a team of Hope for Tomorrow Global volunteers has given huge amounts of time and used their professional skills to design and build a commercial-scale milk-processing unit which has now been shipped to Burundi and has been installed. 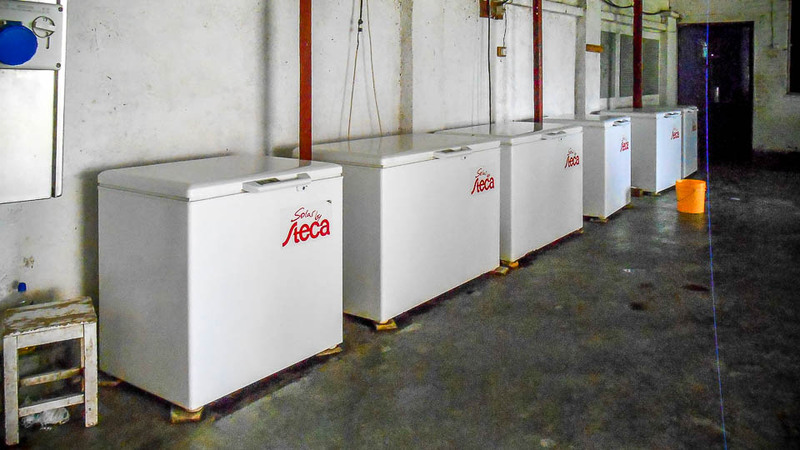 We have also provided 10 solar-powered fridges which are now in use at the main processing plant and in outlets across the city. 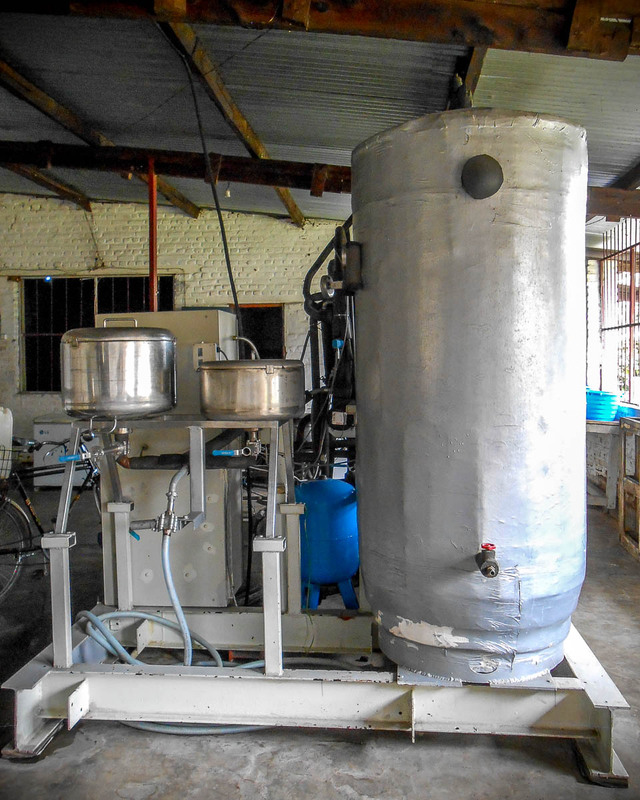 The new processing unit can pasteurize up to 800 litres of milk in just one hour. Compare this to the 500 litres a day that Evariste had been processing per day and you’ll get a sense of the potential there is for the expansion of this incredible enterprise. The aim, in time, is to enable the supply and distribution of fresh milk right across Burundi, so benefitting literally thousands of people through milk sales, generated income, jobs created and the nutrition from the milk. When you combine the impact of this enterprise in the city and, in time, across Burundi, together with all the benefits of the Friesian cows in the rural areas (See Udderly Amazing!) and the families who have been lifted out of poverty, you begin to get a glimpse of the transformation that’s possible from something as simple as milk! At the current time we are eager to supply refrigerated vehicles to Milk for Transformation for the purpose of collecting the milk from the rural areas and also distributing it in the city. High temperatures in Burundi throughout the year mean there is a risk of the milk going off. Being able to keep it cool would not only prevent this, but would mean milk can be distributed further afield, so supplying more vulnerable people with a great source of nutrition and increasing the potential market area too. If you’d like to help or support in some way and help change lives through milk, please click here to find out more or to donate now, please click here.